Alright y’all. It’s time to get real. As in– if you can’t handle women getting emotional about their weight and body image, you should probably just keep scrolling–real. The Numbers: Down. Barely, but still down. For which I am grateful. 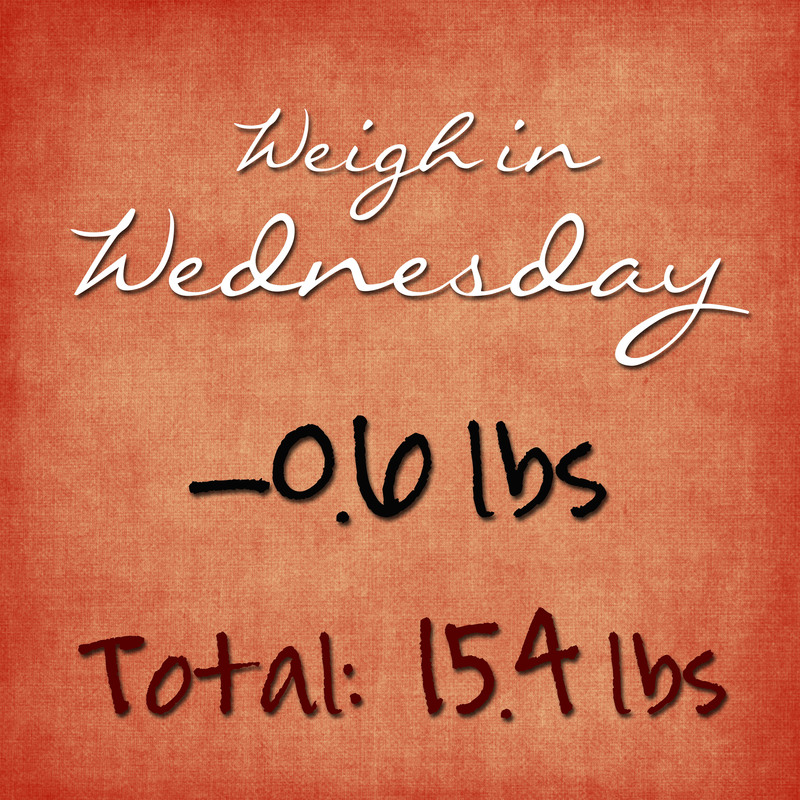 I celebrated my fifteen pound milestone. Everyone clapped. They gave me a sticker. I felt like a cheater who shouldn’t be receiving applause or stickers. Here’s why. And before I say this, let me clarify that I know I’ve been thinking about this all wrong. This is a huge area of struggle for me, but I can’t let it dominate me. So I have to try to work it out. And I’m going to attempt to do that here and now. I’ve been playing diet games. I’ll be super regimented at the beginning of the week and by the end of it, I’m eating what I want in copious amounts and justifying it to myself and either “creatively” tracking or not tracking it at all and then I’ll shame myself into feeling horrible about my life choices and my body and the way I look in my clothes that seem to shrink and grow at will these days. And then dreading that moment I have to step on the scale and see it go up. Or stay the same. Or worse, go down anyway. I guess I feel guilty. Because I know I didn’t really earn that loss. Like I don’t deserve it. And I know those are not helpful thoughts and I need to just take them captive and choose to be grateful for the grace God is giving me in this journey. But that’s really hard for me. Because losing 0.6 lbs in a week when you know you really could have lost 2 lbs feels more like a failure than success. Is that a really unhealthy way to think about it? Yes. Does knowing that make it any easier? Not really. Non-Scale Victories: I went to yoga class. It was not my favorite instructor. In fact, this instructor totally sucked. But I stuck with it. Last Week’s Goals: Track every day. (7/7) Eight glasses of water per day (4/7). Finish wedding photos. (1/1) – Hey, two out of three ain’t bad.